If you are a faculty member or a graduate student within the Department of English & Writing Studies and have a recent publication that you would like to see featured here, please email uenglish@uwo.ca. Already in 1929, Walter Benjamin described “a one hundred per cent image-space.” Such an image space saturates our world now more than ever, constituting the visibility in which we live. The Supermarket of the Visible analyzes this space and the icons that populate it as the culmination of a history of the circulation and general commodification of images and gazes. 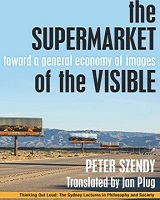 From the first elevators and escalators (tracking shots avant la lettre) to cinema (the great conductor of gazes), all the way down to contemporary eye-tracking techniques that monitor the slightest saccades of our eyes, Peter Szendy offers an entirely novel theory of the intersection of the image and economics. 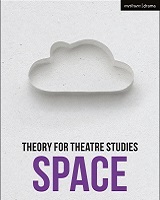 Her latest book provides a comprehensive introduction to the “spatial turn” in modern theatre and performance theory, exploring topics as diverse as embodied space, environmental performance politics, and urban performance studies. The book is written in accessible prose and features in-depth case studies of a range of performance works. 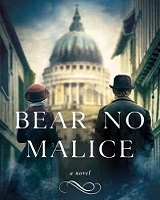 Pitched as Grantchester meets Great Expectations, Bear No Malice is the story of Tom, an Anglican priest and social reformer who has been covering up his mistakes and lying about his traumatic past for so many years that he no longer knows who he is. It’s also the story of Miranda, an artist and Lady of Shalott figure who is haunted by her own painful past. When Tom’s secrets catch up with him and his reputation is destroyed, he realizes that Miranda is the only person he trusts with the truth. What he doesn’t realize is that even if she believes him and returns his feelings, he can’t free her from the shackles of her past.